First attempt at a star trail image. This was a 20 minute exposure. 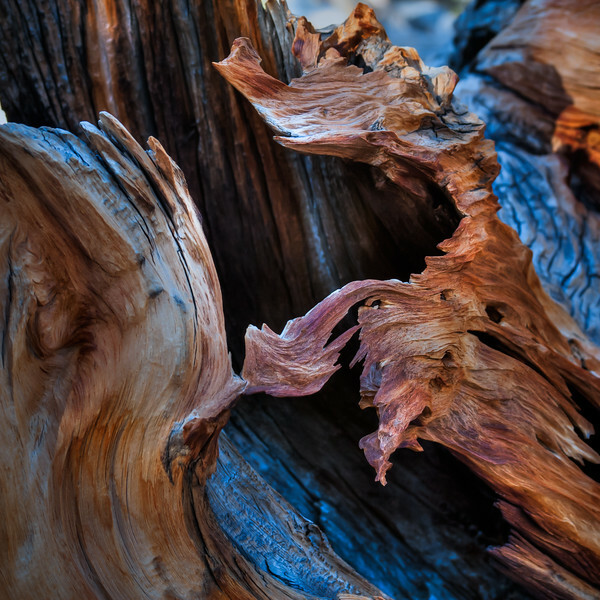 The delicate remnant of a bristlecone trunk now fallen and being worn down by the weather. One of the things I find so facinating is the contrast of colors you find in them. The reds and oranges juxtaposed by the blues make these trees really pop out and make you take notice. 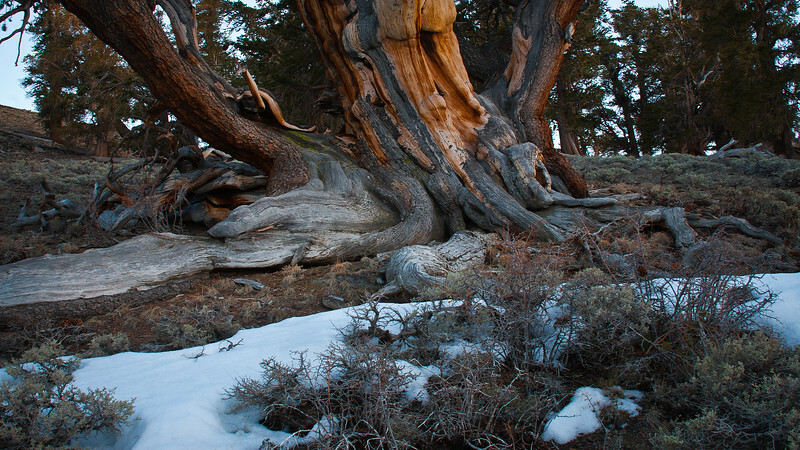 The roots of these ancient trees can sometimes be more facinatig than the tree itself. 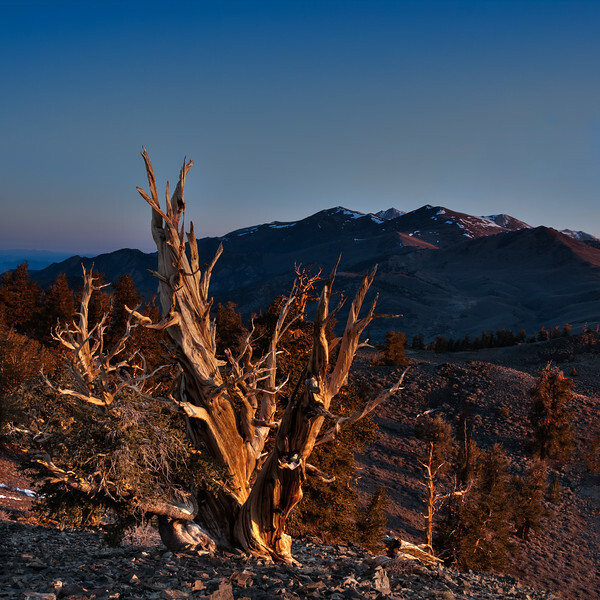 Catching the first light of the morning on a bristlecone tree in the White Mountains, halfway between the Schulman and the Patriarch groves. 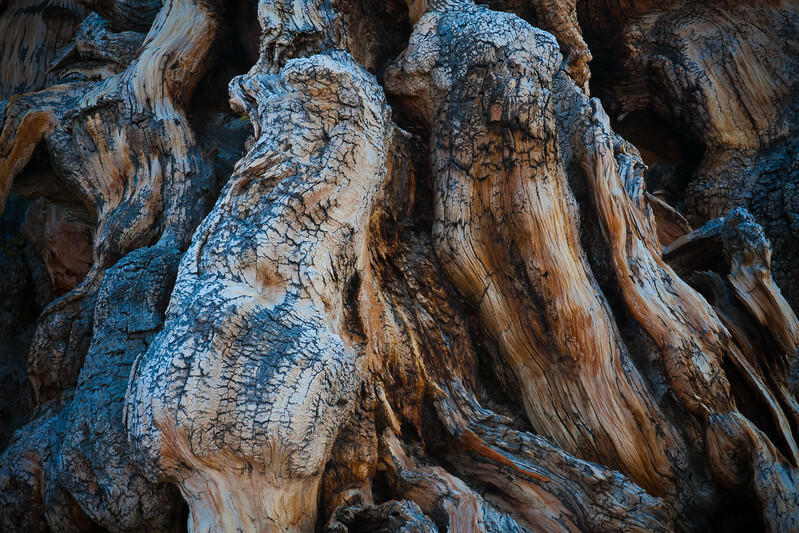 Amazing detail and texture in this ancient tree. 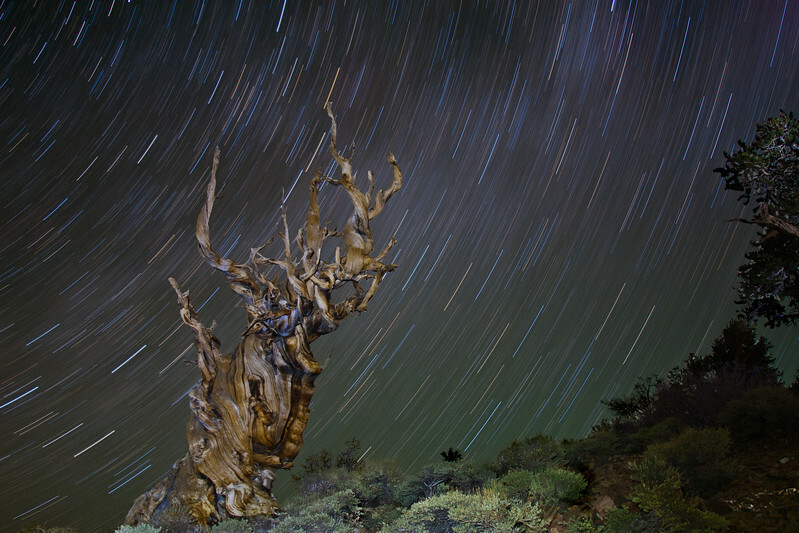 The bristlecone trees in White Mountain California are oldest known trees in the world. 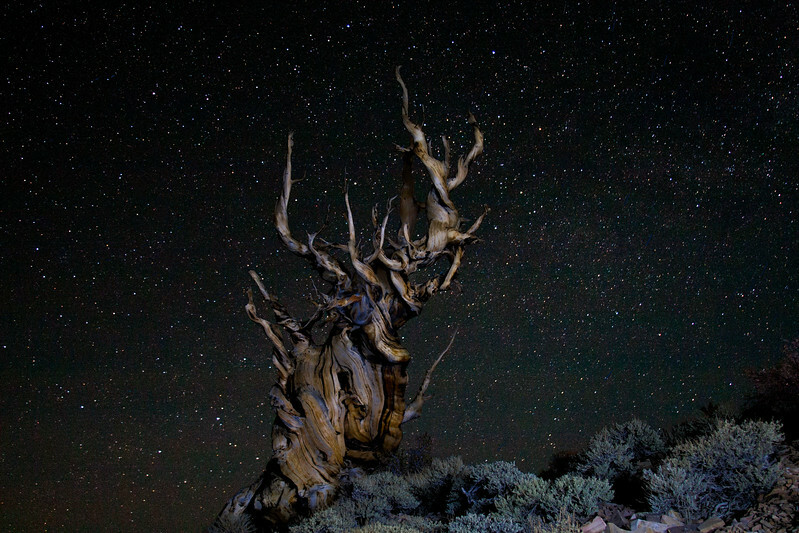 The oldest being the Methuselah tree which is over 4,800 years old. 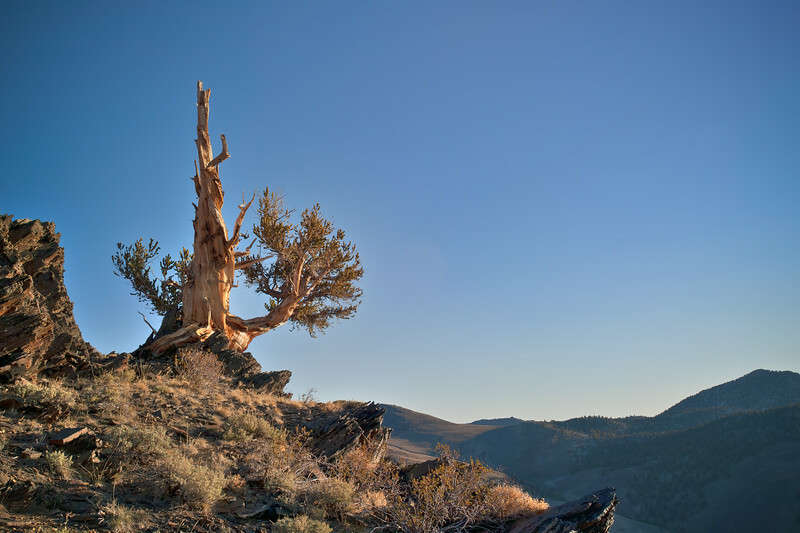 A cold spring sunrise with an ancient bristlecone tree. Taken in between the Schulman and Patriarch Grove.